First Friday curator's walk through. 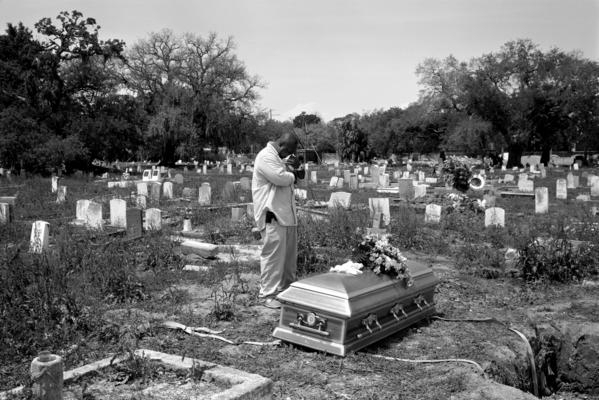 New Orleans Suite presents a window into the landscape of life in New Orleans before and after Hurricane Katrina. Vivid black and white photography exposes the contrast of devastation and humanity in such a rich sector of American jazz culture. Additionally the gallery will showcase some of Watts' new work from Cuba, where he is continuing his photographic research. Lewis Watts is a photographer, archivist and Professor of Art at the University of California, Santa Cruz. He is co-author of "Harlem of the West, The San Francisco Fillmore Jazz Era" which consists of found photographs and oral histories of an African American Community that sprang up as a result of the migration west during WW II and that was "urban renewed" out of existence in the late 1960s. He is also the co-author with Professor Eric Porter of "New Orleans Suite" scheduled for publication by the University of California Press in 2013. New Orleans Suite will be at the Sesnon Gallery from October 3 - November 21, 2012. More information available at Sesnon Gallery web site.